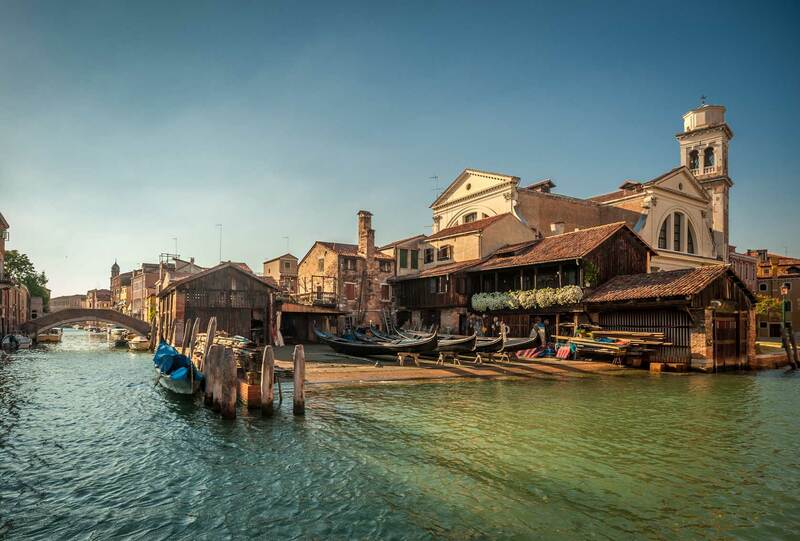 Venice is a city in which art can be admired everywhere. This itinerary is to be considered principally a stroll through the artists, a walk during which you will pass through the most interesting collections, galleries, and museums. Departing once again from the railroad station and Piazzale Roma, you will cros the Scalzi bridge and head towards the Campo Santa Margherita where you will find, during certain Saturdays of the month of September, various antique and used goods stands. 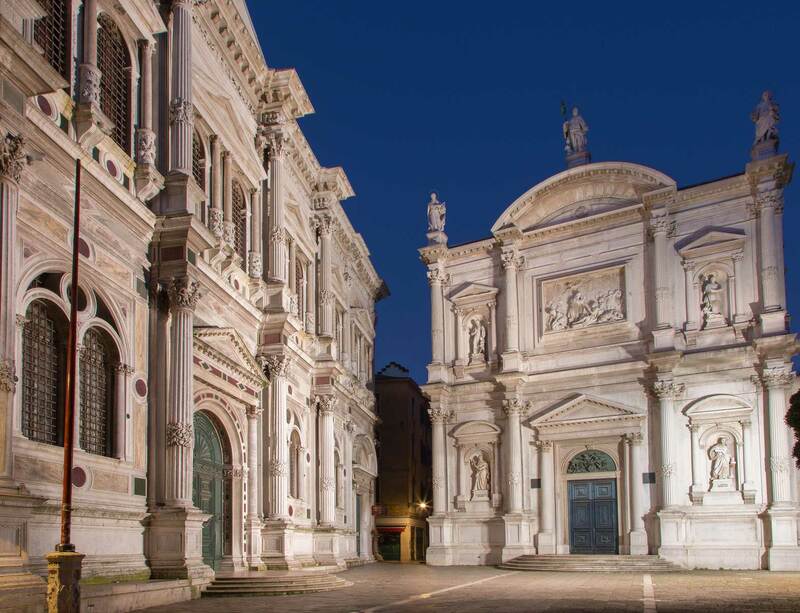 Before arriving in this plaza, you will surely pass by the Scuola Grande di San Rocco where, with a mirror, you can admire the marvelous frescoed ceiling painted by Tintoretto. Next to it is the church of the Frari where you will be able to enjoy the beautifies of Titian’s work as well as that of Canova’s sculpture (inspired by the poetry of Foscolo). Once you have passed through the Campo Santa Margherita, cross the Ponte dei Pugni (the Bridge of Fists), noted for the fact that the local residents of the two sides of the bridge, once a year, engaged in ferocious brawls, traces of which can be seen in the footmarks on the arch of the bridge. Once past the Sottoportego del Casin dei Nobili, a brothel where rich patricians passed their evening in the company of courtesans, you will reach the ““Ponte de le Meravegie” (the Bridge of Marvels). 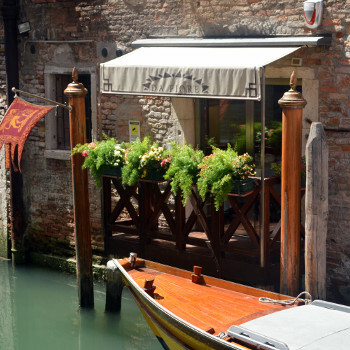 You are in the right spot for a “goto”, a glass of typical wine accompanied by a snack of salt cod in a creamy sauce: here you can admire the sole active “squero”, the place where the famous gondolas of the city are constructed. Returning towards the bridge, follow the signs towards the historic Gallerie dell’Accademia (the Gallery of the Academy): inside the gallery you can admire the splendid works of Bellini, Giorgione, Tiepolo, Tintoretto, and Titian. You can then have a quick lunch in a lovely traditional courtyard under an arbor with typical dishes and Venezia DOC wines. 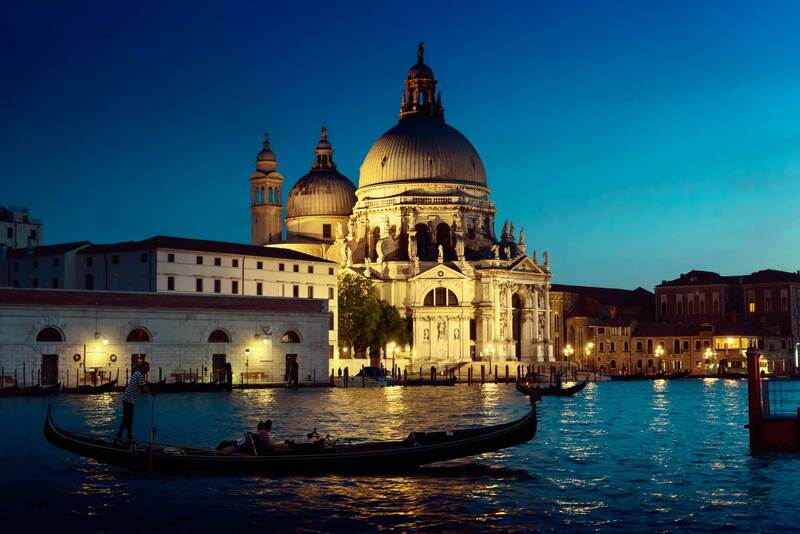 Continuing along the street, you will arrive, finally, at the magnificent Chiesa della Salute, designed in a Palladian style and the only Venetian church with a circular floor plan. From there it is possible to admire the final part of the Grand Canal on one side and take in the Peggy Guggenheim Museum, which houses works of Magritte, Max Ernst, and Picasso on the other. 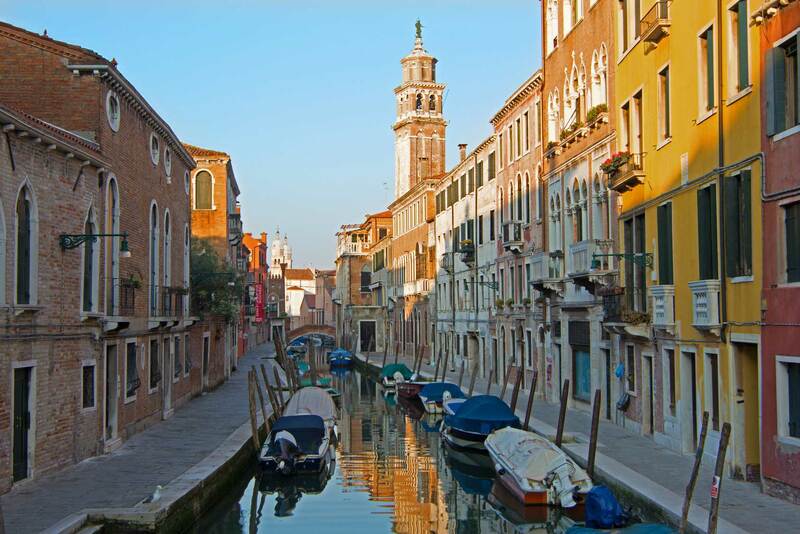 Return towards the Accademia, cross the bridge, and you will arrive in Campo Santo Stefano. 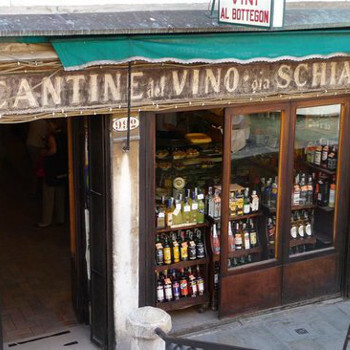 Allow yourself a brief stop in one of the Venetians’ most popular taverns to taste the traditional “bovoi”, the sweet and sour sardines, polenta (cooked corn meal), and “schie” (baby shrimp). 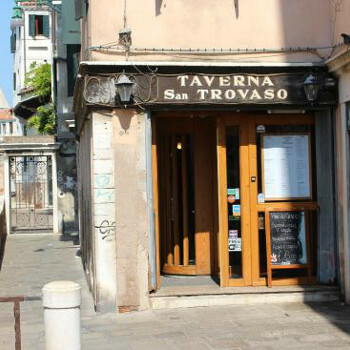 To conclude the “tour of the marvels”, cross the Campo Santo Stefano and Calle della Mandola to reach the Palazzo Contarini del Bovo palace. It takes its name from the Venetian dialect word for snails, the form which it brings to mind.